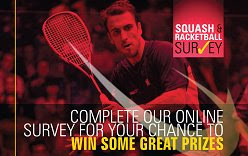 There's just a handful of days left to take part in England Squash's online survey. I had looked everywhere for this article – something that I would do exactly what it said, without all the fuss and hassle. I had already wasted hours of time and who knows how much time on other blogs, so I have to thank you for this article. Thanks!